Explore the Unexplored with us. 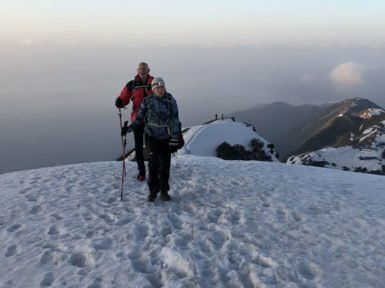 A five day trek in Annapurna. Have you ever experienced Trekking in Nepal? If you haven't, then you are seriously missing out! Not only is it a beautiful adventure, but it also an unforgettable experience. 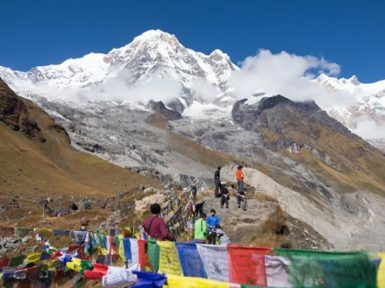 The land of the Himalayas, Nepal presents wonders that are breath-taking. 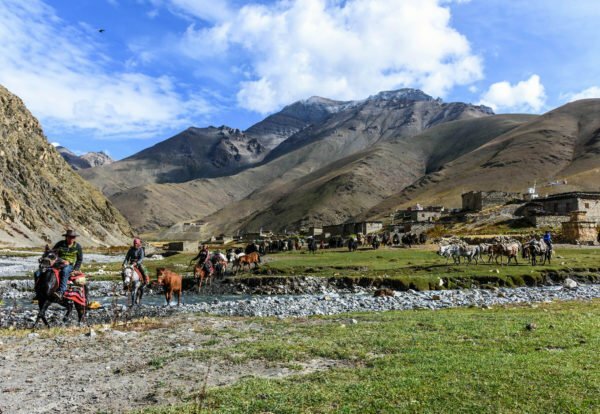 From the Himalayan landscapes to the rich cultural ethos, trekking in Nepal is truly a marvelous feat. Visit beautiful ethnic Himalayan settlements and villages. Travel to destinations at gorgeous river valleys harboring unique terrains. Walk on winding trails passing through heavenly alpine forests and green pastures. 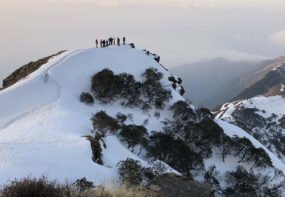 Trekking in Himalayas is a marvel that is undeniably awe-inspiring! 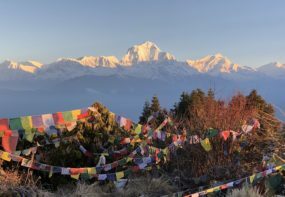 Nepal Hiking Team presents comprehensive well-rounded travel packages in Nepal, Tibet and Bhutan. The programs we offer are incorporated with the best services and features of all regions. We present you with an amazing opportunity to experience Nepal’s natural and cultural elements in spectacular fashion. Moreover, the travel packages are focused on the blend of natural elements with religious and traditional characters to give you an all-round experience of the authentic manner. 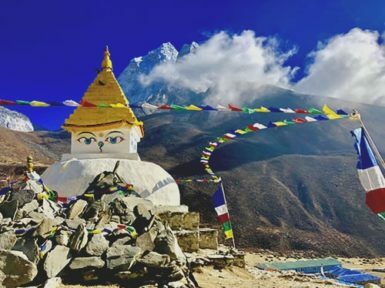 Furthermore, along with Nepal Treks, we also offer Cultural Tours, Peak Climbing', Wildlife Tours and various adventure activities like white-water rafting, Bungee Jumping and Paragliding. Likewise, we present wide-range tours not only in Nepal, but in Tibet and Bhutan as well. We have been operating in the field since 2009 and have provided the best services to over 20,000 happy customers from all over the world thus far. 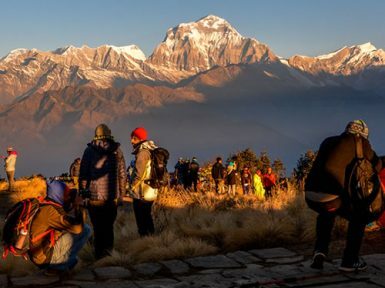 Nepal Hiking Team is always driven towards providing the best experiences for our valued clients. Our passion and professionalism has made us the leading trekking agency in Nepal. Our team is always working towards making dream vacations of our customers into a pleasurable reality. In addition, our highly professional and well-trained guides and staff will always make sure that you have a problem-free holiday. Likewise, our services range from the planning and preparation of tours to immaculate trip arrangements. You are guaranteed to get the best accommodations, transportation, food and guiding services. 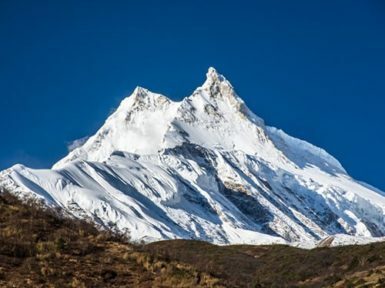 No matter if you are planning for trekking in Nepal, a cultural tour or peak climbing, we are the best to plan your trip in affordable price. We have been awarded the Certificate of Excellence since 2012 to 2018 consecutively. Correspondingly, Nepal Hiking Team is also included in the Certificate of Excellence Hall of Fame, a feat awarded to only few reputable companies, of which we are proudly a part of. It is a proof of our consistent services towards high quality work. You can write to us at any time. Furthermore, you can design your own packages too. We always have the satisfaction and safety of our customers as our foremost priority. With us, you will get a marvelous experience of trekking in Nepal. You would be reveling in breath-taking mountain views and inspiring natural environments whose beauty will remain in your minds for a long time! So what are you waiting for? Contact us today! 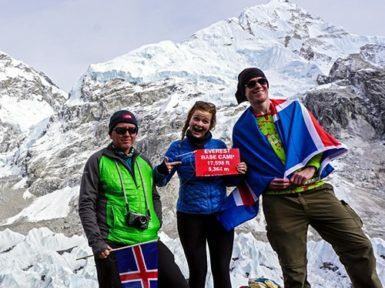 Nepal Hiking Team makes sure you have the best holiday adventure ever! You travel to explore and discover. We take you to every region of Nepal and what make a difference travelling with us are the human factors. Our whole team is enthusiastic and passionate about their work. Our guides are well trained professionals with enough knowledge about places, culture and history and are well known for their friendly, caring and cheerful behavior. They know travel is for fun and can make most of it. We all know travel is a demanding business and for over 7 years experience, we have led the way in creating the very best travel experiences throughout Nepal. When it comes to planning and executing your trips, there is no substitute for this knowledge and technical know-how. You are spending your hard-earned money to visit an unfamiliar country and it would be irrational to take a risk by choosing a company with no knowledge and experience. Everest Base Camp Trek lets you triumph over walking to the foot of breathtaking Everest (8848m), the world’s highest mountain.